Come Relax & Make Memories! 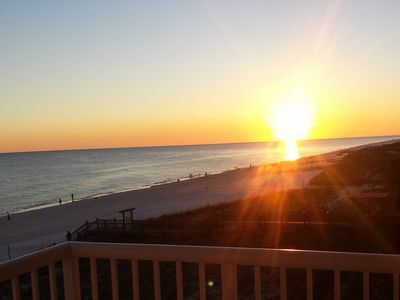 You will never want to leave! 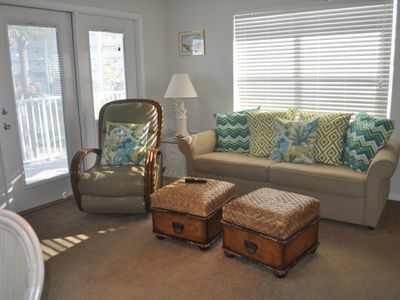 2br/Newly Remodeled! If you are looking for a peaceful vacation with no crowds and no elevators you have found the perfect getaway. 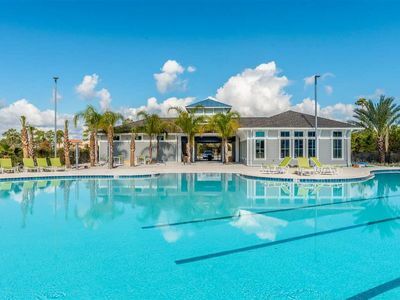 The Molokai Villas are a low-rise community consisting of 21 units and the ideal place for you to enjoy both the Gulf of Mexico and the Ole River. 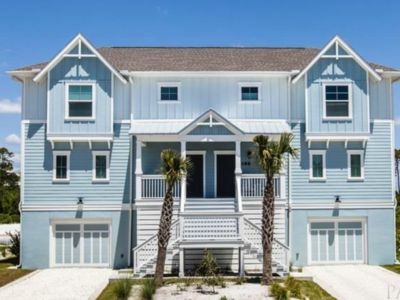 Molokai Villas are located on the west end of the island near the Florida/Alabama line for easy access to Perdido Key, Pensacola, Orange Beach, and Gulf Shores. Our villa is located on the riverside (1st floor unit) and overlooks the beautiful newly renovated swimming pool with breath taking views of the river and Ono Island. 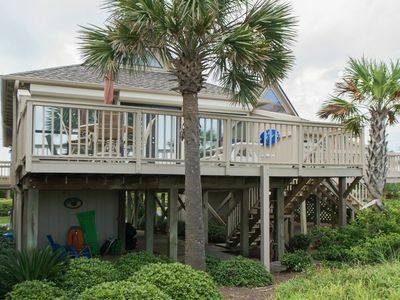 The river side features a swimming pool, deep water boat slips (available on a first come first serve basis), a lighted fishing pier perfect for fishing and crabbing, and plenty of open area for your kids to play! Ole River is perfect for boating, skiing and sailing. 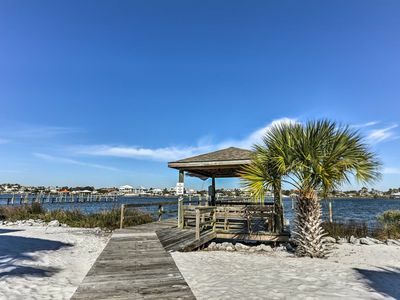 Across the street is our private gulf front access that has a dune walkover to enjoy Perdido Key's beautiful sugar white sand beaches. 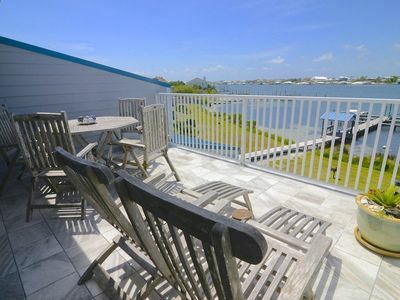 Whether you enjoy sunning on the beach or waterskiing down the Intracoastal Waterway, Molokai Villas provides lots of variety for your next Perdido Beach vacation! 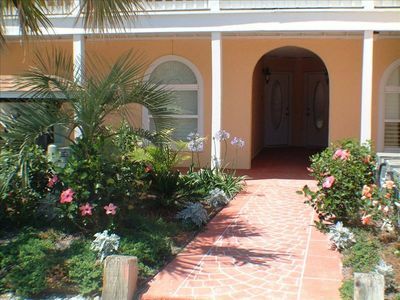 Our villa has been newly upgraded and has 2 bedrooms, 1 ½ baths and tile floors throughout except for the bedrooms. The living room and kitchen occupy 1 large open room that allows everyone to be together!! 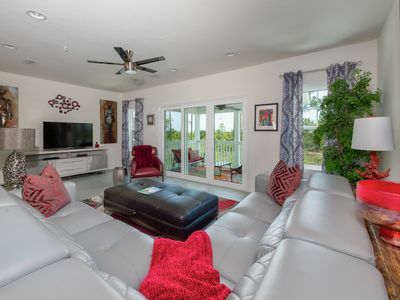 The living room has french doors that open to the balcony with beautiful views of Ole River and the pool. 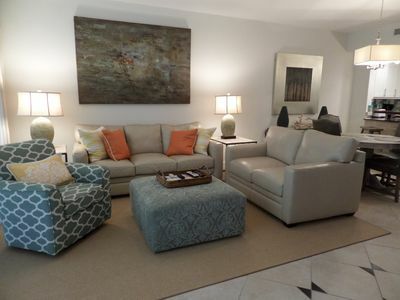 It also has plenty of seating, pull out couch, TV, cable, DVD and wireless internet for your entertainment. 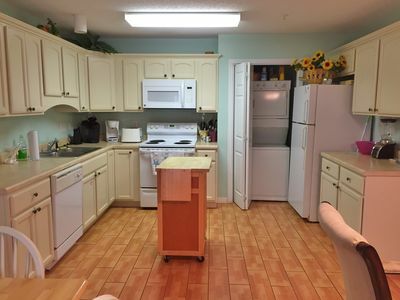 The kitchen is well equipped with everything you will need to make a wonderful meal. 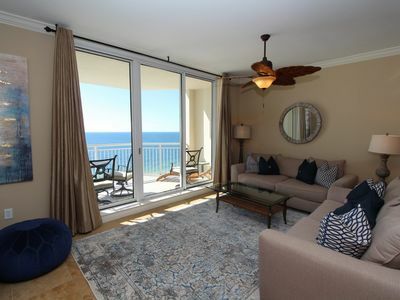 The master bedroom has a king size bed, TV and a ½ bath with french doors that open to a large balcony. The master also has a large dresser and closet for all your belongings. The second bedroom has a queen bed with a dresser, closet and TV. Our unit also has a washer and dryer for your convenience. 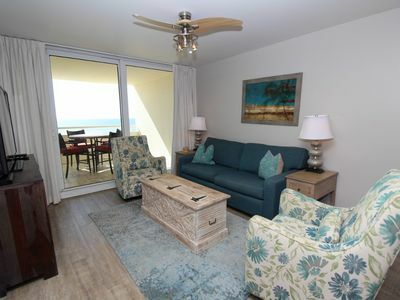 Beach chairs and towels are provided for our guests and at the bottom of the unit there is a outdoor shower to wash off the sand. 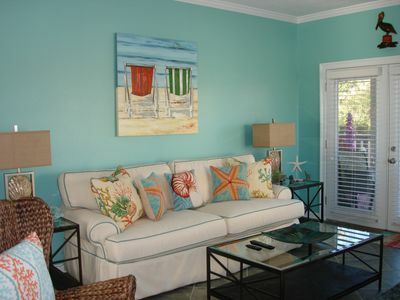 We are certain that our cheerful decor will make this the perfect vacation spot for you to come year after year!! 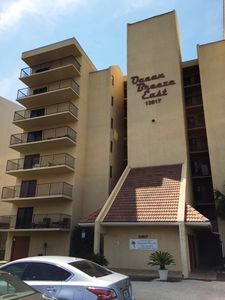 If you have a large family OR want to travel with another family and you are looking for another unit...Please look at my upstairs condo.. VRBO # 576956. This way you and your entire family OR friends will be under one roof!!! Below is a list of some of the local attractions that you won't want to miss on your visit! 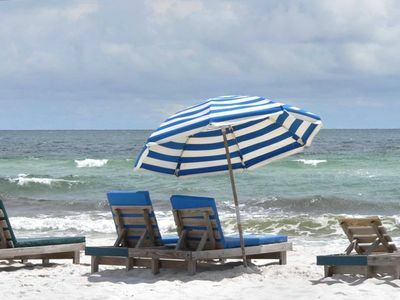 There are also wonderful places to eat and the “World Famous” FloraBama is only 1 mile up the street! 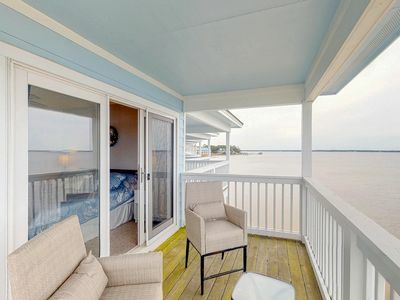 SeaSpray Riverside 214- Bay Views from Terrace with Coastal Interior! 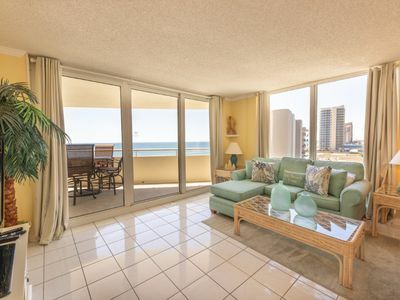 Indigo East 1602- Beach Front Unit with Luxurious Interior and Amenities! 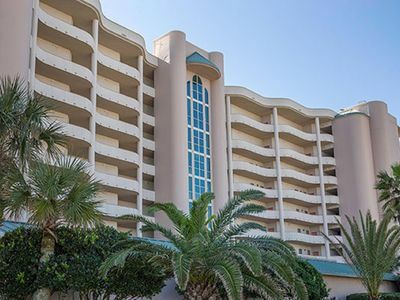 Chic Waterfront Pensacola Condo w/ Pool & Dock! Latitude Adjustment - Act fast, for best spring availability. 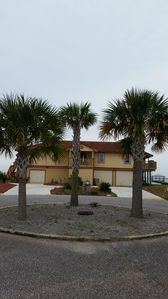 Enjoy your own BEACH PARADISE! 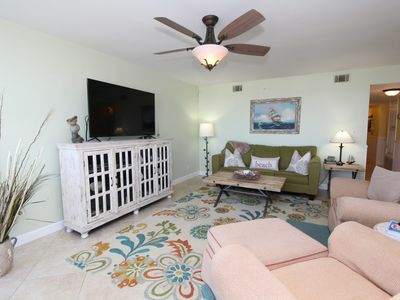 4BD/4BA Villa in Lost Key Golf & Beach Resort.